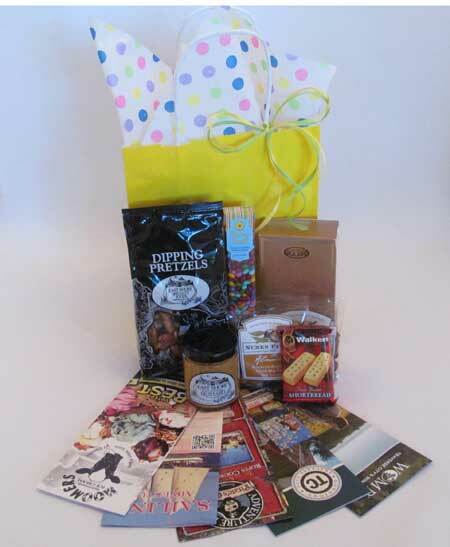 What’s more fun than having a “Goodie Bag” full of yummy treats waiting for you in your hotel room? Here is an assortment of delicious gourmet treats everyone will enjoy. 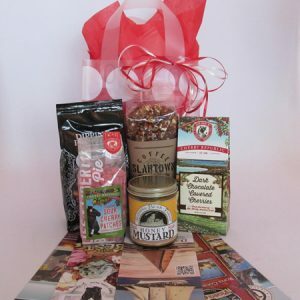 Contains: East Shore Sweet and Tangy Mustard, East Shore Dipping Pretzels, Sunflower Foods Sunny Seed Drops – Chocolate Covered Sunflower Seeds, Walker Shortbread Cookies, two packets of Nunes Farms Almonds, Cherrington Fine French Truffles and local brochures.